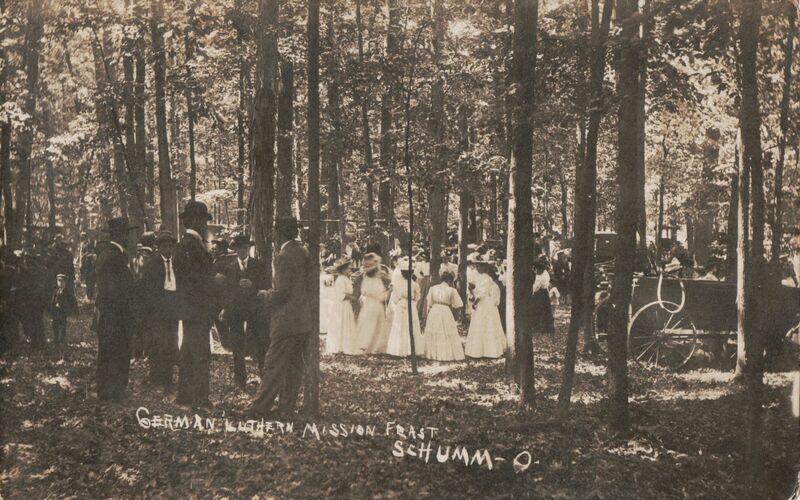 Below is a nice picture postcard of the 1908 German Lutheran Mission Feast in Schumm, Ohio. 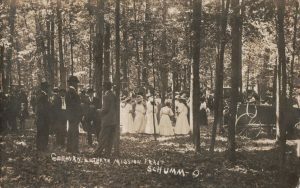 German Lutheran Mission Feast, Schumm, Ohio, 1908. The postcard is postmarked Schumm, Ohio, 13 October 1908. There are young and old alike gathered and everyone is certainly dressed in their Sunday best—the ladies in beautiful long flowing white dresses and the gents in their suits, ties, and hats. I wonder where this Mission Feast was held? It was probably held near Zion Lutheran Church in Schumm. Could it have been held on the Schumm homestead farm, just north of the church? The photo was taken in a very wooded area. I wonder if there was a wooded area near the church over a century ago? The Mission Feast was probably held weeks, if not months before the card was sent in October. It would have taken some time to develop the photos and make the postcards. 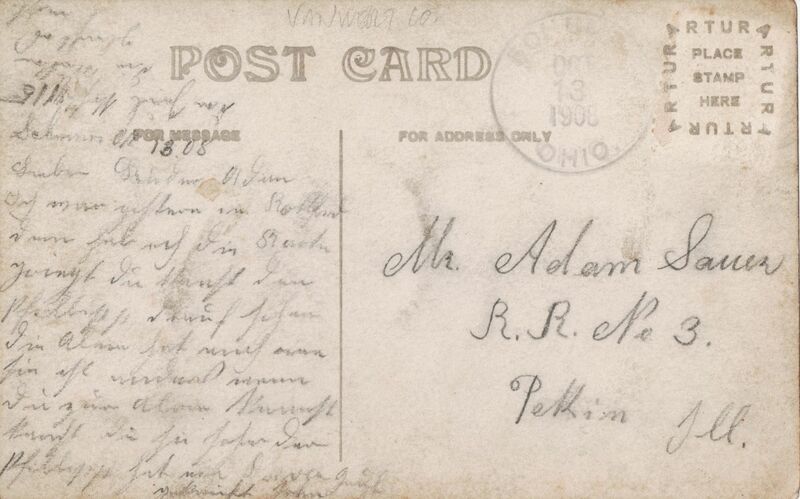 Back of German Lutheran Mission Feast postcard, 1908. I cannot read what is written on the back because unfortunately I do not know enough German to make out the message. Despite the lack of information about the postcard it is still a very nice photo with a Schumm connection and a Schumm postmark. I would appreciate any additional information about the family mentioned on this postcard or the event pictured here. This postcard makes me think of the upcoming Schumm reunion which will held this year on Sunday 5 August at Zion Lutheran Church. The 2018 reunion will be the 43rd gathering of the descendants of John George Schumm. The reunion is held every other year and attracts well over 100 Schumm relatives. 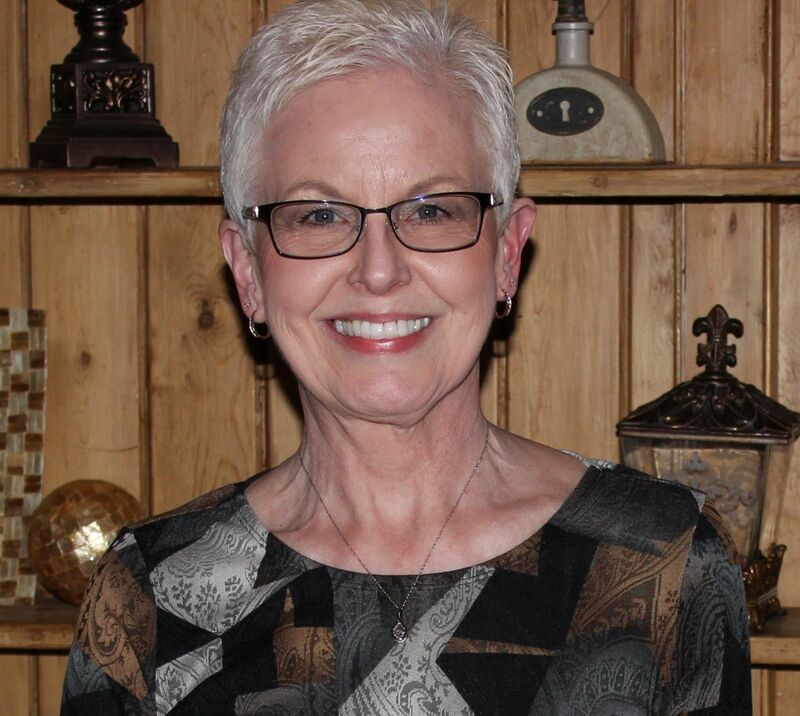 A possible connection from information in Anna (Meisinger) Sauer’s obituary: Anna (Meisinger) Sauer (1855-1935), had a brother Adam Meisinger living in Pekin, Illinois, at the time of Anna’s death in 1935. Anna (Meisinger) was married to John Sauer (1855-1900) and they had 9 children that survived to adulthood. Anna and John Sauer attended Zion Lutheran Church, Schumm, and both are buried in Zion Schumm’s cemetery. Anna (Meisinger) and John Sauer had a son Adam, per Anna’s obituary, and Adam was enumerated in the 1900 census with his parents and his 8 siblings. Adam Sauer was born in 1887 and he might have been staying with his uncle Adam Meisinger in Pekin, Illinois, in 1908. Adam Sauer would have had a connection and an interest in Zion Schumm. Anna and John Sauer also had a son named John Jr and he may have sent the postcard. Also of interest is another child of John and Anna (Meisinger) Sauer–Maria (Sauer) Schumm (1886-1975), who married William Jacob Schumm (1883-1967), and they had children Elsie, Irma, and Milton Schumm. However, just to complicate things, there was another Adam Sauer in the Schumm area at the same time. He married Magdalena Dietrich in 1883. They also attended church at Zion Schumm but he was about a generation older than the other Adam Sauer born in 1887. 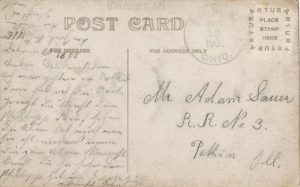 Because of the Pekin, Illinois, connection, I believe this postcard was likely sent to the son of John and Anna (Meisinger) Sauer.